Saturday's class will meet in the classrooms at the Fargo Moorhead Community Theater near Island Park, and Thursday's class will meet at Mezzaluna (the old Silver Spoon Supper Club) in downtown Fargo. 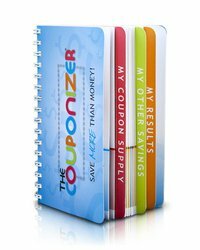 You’ll have the opportunity to ask questions of Melissa and I and most importantly you'll see examples of ways to stay organized using coupons at whatever level works for you. I love to help others find ways to make coupons work for them, and have the opportunity to meet and talk in a small group setting. I hope to see you there! Tickets are available through Eventbrite. If you're interested in Saturday's class ($20), purchase tickets here. For Thursday's class ($15), purchase tickets here. The price of both classes include a yummy boxed lunch catered by Mosaic Foods! One tool we will have available for you to see and purchase is The Couponizer. Feel free to look around at the product on their website and if you have questions, ask us at the class! 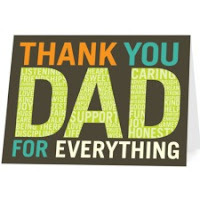 Tiny Prints: $0.99 Personalized Father's Day Cards! 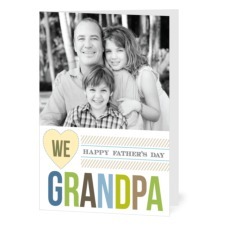 Through 6/6, use code GC99 to snag a personalized Father's Day Card for $0.99 at Tiny Prints! I've told you before how much I LOVE Tiny Prints cards, so now is the time to check them out! You can upload a picture to personalize a card, or use a card without a photo and write your own message inside. Plus, I love that for an additional $0.44, Tiny Prints will mail the card right to your recipient! Or, choose to have it shipped to you and get FREE shipping! Head over to Tiny Prints now to check out their sweet Father's Day cards! $1 Red Baron Singles + Cash Wise and Target Deals! 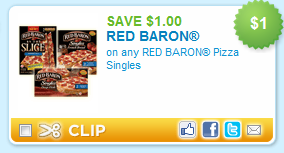 Head over to Coupons.com to find a $1 coupon for Red Baron Singles! Use zip code 29634 if you don't see it right away. Or, head to Target, where Red Baron French Bread Pizzas are on Price Cut for $2.50 through 6/18! Thanks, Jennifer and Totally Target! 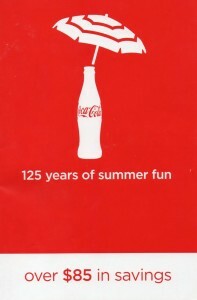 Hurry over to the Diet Coke Facebook page to "like" them and print a $1 16 or 20 oz Diet Coke printable coupon! Ball Park Hot Dog Buns, 12 oz FREE with $30 purchase and Cash Wise in store coupon! Final price: $1 toward your order! Note that not all cashiers will allow this, though it is a legitimate coupon stack of 1 store coupon and 1 manufacturer's coupon on 1 item. Look for peelie coupons on the bottles for $2 off Country Time or Kool-Aid mixes when you buy 2 Kraft BBQ sauces! Pay 3.25 for all 4, only $0.82 each! Pepsi 24 packs $4.50 when you buy 2 with Cash Wise in store coupon! 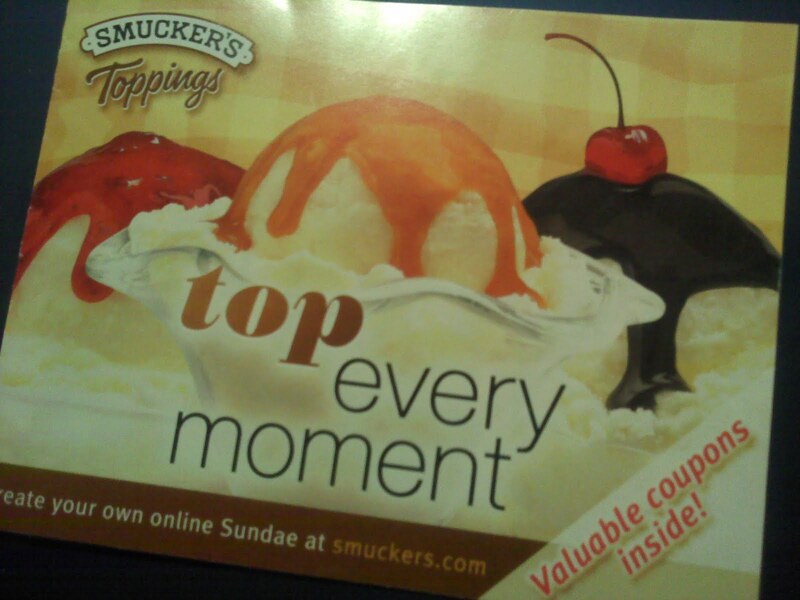 Buy 3 Smucker's Jar Toppings, Get 1 Free! I found this one several weeks ago and can't remember which store, but just saw more this weekend in the ice cream section at SunMart! Through today or 6/5 if marked! Final price: as low as $0.27! Final price: as low as $2.39! SaveCoin: More than Half Off Games to Go Rental! This weekend's SaveCoin deal is AWESOME! 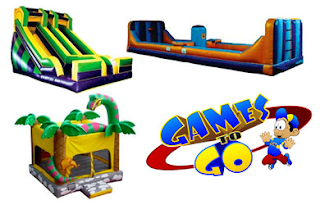 Get more than half off Games to Go Inflatable Rentals! Here are the details: When you purchase this deal at SaveCoin, you'll pay only $85 and receive a voucher for $175 toward any Games To Go services! This deal is only available through Monday, May 31st or while supplies last (there are a limited number available)! You can purchase one per person, and up to two more as gifts if you choose. 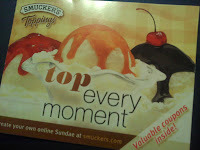 The voucher expires 11/27/11, so you'll have all summer and fall to use it! Once you receive the voucher, choose the inflatables or other services up to $175 and book directly with Games To Go! The voucher must be used in full in one event. This deal would be great for anyone looking to book Games to Go for their event, or throwing a party where you need the indoor party room at their facility. Even businesses that plan to book inflatables for their summer event can get a bargain by buying this SaveCoin deal! For more details, or to get this voucher for yourself, head over to SaveCoin! Since Memorial Day weekend is a holiday weekend, there are no inserts scheduled. Give yourself a little break from clipping and filing! For those of you that can't get enough, there are printable coupons galore available right now! 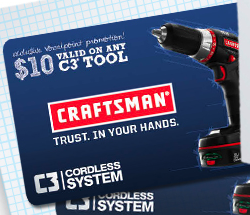 Join Vocalpoint: $10 off Craftsman Tools + more! I've mentioned Vocalpoint many times before in coupon matchups. If you haven't joined Vocalpoint before, now is a GREAT time! *Kellogg's Sample of Mini Wheats with a Touch of Fruit, plus several high value coupons! 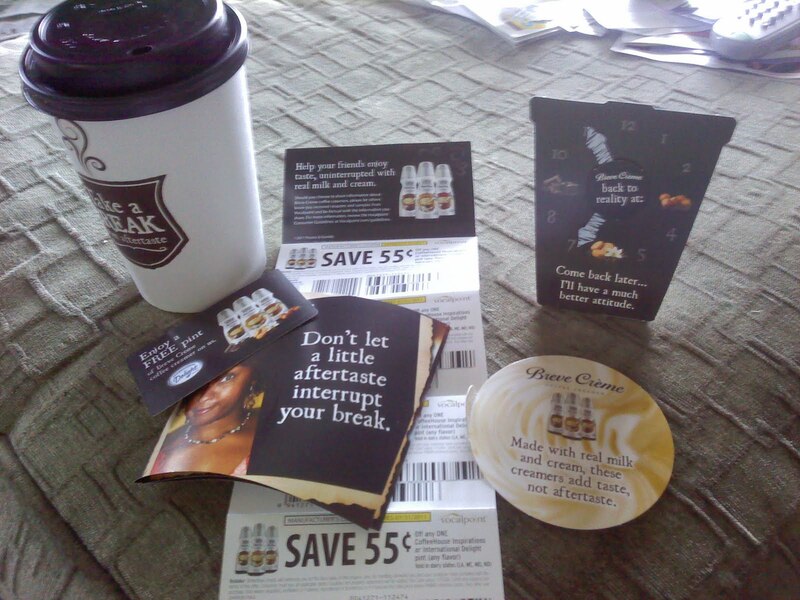 *International Delight Cofffe Creamer Kit with a coupon for a FREE Breve Creamer and several more $0.55 coupons! All for FREE! 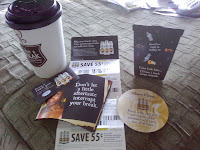 Plus, I've received lots of great freebies and coupons over the few years I've been a Vocalpoint member! Head over to Vocalpoint to register and get started! There are lots more SunMart deals, but I will post them later today - I wanted you all to have as many as I have for now! Look for a new coupon booklet found in stores with some great coupons in it! Six Flags Get one general admission ticket for the price of child/junior daily admission. Summer Get Together + Coupon Swap Dates! I'm happy to announce a swap date more than a week in advance! I'm concerned about continuing to meet in the West Acres Food Court as our group grows larger, even though I really love meeting there! Do you have any suggestions for a public location with a meeting room, common space or something similar that we could use for coupon swaps once per month? We generally meet on Saturday mornings once per month from about 10 AM to Noon. Something with no charge, or only a nominal charge would be best! Mark your calendars and see you all there! Cash Wise will not accept other store's in ad manufacturer's coupons, because according to the manager who emailed with me, Cash Wise will not be reimbursed. It doesn't make sense to me quite yet, as sometimes manufacturer's coupons from other stores ads don't mention that store. So, I still have questions that I'll address with corporate tomorrow, but for now I want to respect what they've said and won't recommend using the coupons from the SunMart ad. Still some great deals at Cash Wise this week, though! As always, I'll update after I get more answers for you all! It's Wednesday, which means it's time for another Community Block Party tonight from 5:30-8:30! Tonight's block part is at Roosevelt Park in Fargo, on 10th St N and 12th Ave N! There will be FREE food and drinks while supplies last! Restaurant.com: $25 Gift Certificates as low as $2! 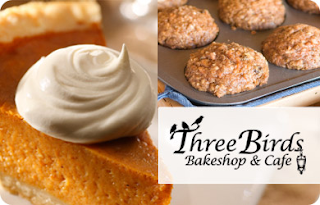 Hurry over to Restaurant.com where $25 Restaurant gift certificates (normally $10) are once again on sale for 80% off! Through 5/31, use code FLAG when you purchase restaurant specific gift certificates or Restaurant.com gift cards to pay as little as $2 each! SaveCoin: $44 for 5 Goodyear Oil Changes! Head over to SaveCoin this morning to get a ROCK BOTTOM deal on oil changes! 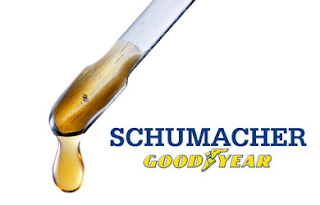 While supplies last, get a "5 pack" of Full Service Oil Changes at Schumacher Goodyear in Fargo for $44! That's only $8.80 per oil change! Head over to SaveCoin for more info or to get your deal! New Printables: Quaker, V8, Magnum and more! Some FABULOUS new printables this morning! Get 'em while you can! $1 off Magnum Ice Cream Bars! Kid's Eat FREE Tonight at Chili's! Don't feel like cooking? Take the kids out to Chili's tonight where up to 2 kids eat FREE with every adult entree purchased when you use this coupon! Update: I am removing all references to using the manufacturer's coupons found in this week's SunMart ad until I can get further clarification from Cash Wise on their acceptance policy. I'll update as soon as I'm able and repost the coupon matchups if they are appropriate. Final price: as low as $0.20! Final price: $0.55 each when you buy 2! Shasta Pop, 12 packs $2! This seems to be the new low price for butter in our area, doesn't it? Final price: $1.24 each when you buy 2! 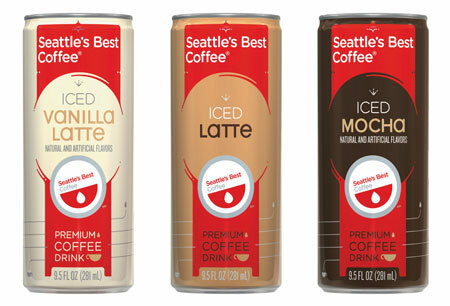 Final price: as low as $1.88 when you buy 3! It's that time of year again! Schools are asking for you to turn in your Labels for Learning, Box Tops for Education, Labels for Education and Kemps Nickels for Schools. Call your school to see which items they collect for fundraising, then send them to school with your kids! 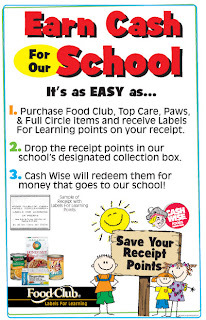 Food Club Labels for Learning print at the bottom of your Cash Wise receipts with any Food Club, Full Circle, Paws or Top Care purchase. Each point equals $0.01 given to your school when redeemed. The points from this school year expire 6/15, so be sure to turn them into the school soon! Our Family Labels for Learning are redeemed by saving UPC barcodes from Our Family products (sold at SunMart stores), and turning them into the school. Each barcode represents $0.05 that will be given to the school when redeemed! Box Tops For Education are found on so many items it's hard to name them all! Head over here for the full list of participating products, which includes General Mills products, Kimberly Clark products (Huggies, Kleenex, Kotex), Ziploc, Brita, Pillsbury, Land O' Lakes, Betty Crocker, Cascadian Farm, Nestle, Avery and many more! These usually have a few years before they expire, but go ahead and turn them in each year for your school. Each Box Top is worth $0.10 when turned in to your school and redeemed! Campbell's Labels For Education are found on Campbell's, Pepperidge Farm, Pop Secret, Bic, Post products and many more! 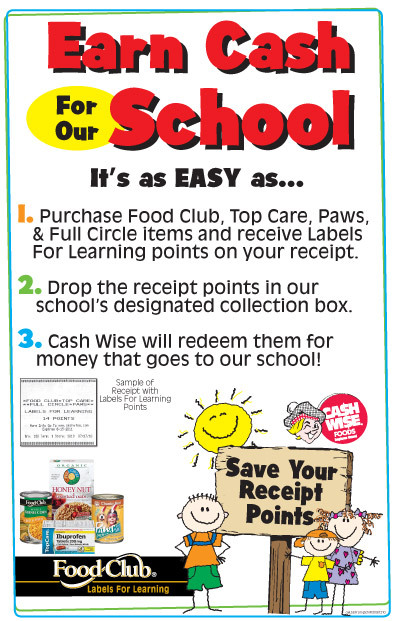 Each year, schools can redeem their label points for educational products! 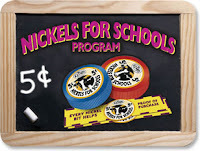 Kemps Nickels for Schools are found on Kemps milk caps, cottage cheese containers and more. Turn these into your child's school for $0.05 per label! Be sure to check with your child's school to see which they accept, and get yours into the school before the end of the year! 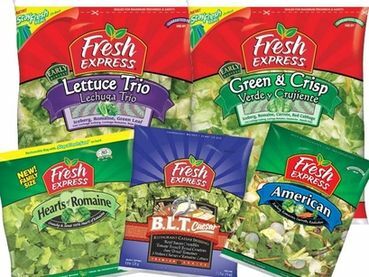 New Printables: Fresh Express, Lean Pockets, Old Orchard and more! 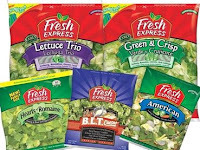 Head over to the Fresh Express Facebook page to print a $1 coupon for any Fresh Express Salad! Then, head to the Lean Pockets Facebook page to print a Buy One, Get One FREE Lean Pockets coupon! Next, head to the UP2U Facebook page to print a $1 Mentos UP2U Gum! Old Orchard has released a new Buy One, Get One FREE Cranberry Naturals Juice coupon! Look for 2 inserts this weekend in your Sunday Star Tribune, a SmartSource and a Red Plum insert. 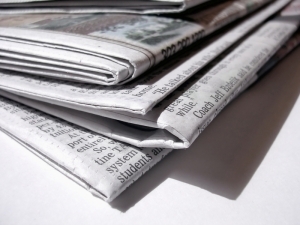 Normally our area sees only the SmartSource insert in the Saturday Star for $1, or the full set of inserts in the Sunday Star for $2. As always, if you happen to find a paper on Saturday with both inserts, tip the rest of us off after you’ve purchased your own! Leave a comment here or over on the FM Cheapskate Facebook page! If you do happen to find the Red Plum in Saturday's paper, you'll luck out at Cash Wise! Stack the Unilever manufacturer's coupons in the Red Plum insert with the Cash Wise coupon for $5 off when you buy 10 Unilever participating items through today only! Pear Tree Greetings: FREE Kids Stationery Set! Head over to Pear Tree Greetings this morning to snag a FREE 6 piece kids stationery set! The best part is, it will ship to your door for FREE as well! This is a limited time freebie, so hurry to request yours now! These Amy's brand coupons are very rare, so print them while you can! 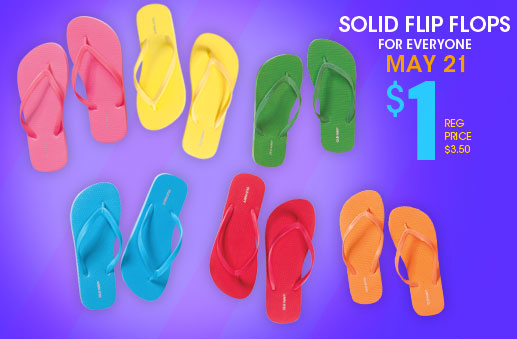 Old Navy: $1 Flip Flops Saturday 5/21! Head to Old Navy Saturday, 5/21 to score flip flops for the whole family for $1 each! No coupon necessary, limit 5 pairs per customer. While supplies last, so I'd recommend shopping early! 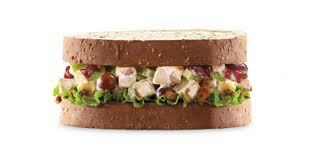 Arby's: FREE Market Fresh Sandwich with purchase of a Drink! Head out to Arby's this weekend and use this coupon for a FREE Market Fresh Chicken Salad Sandwich coupon when buy a 22 oz Pepsi drink! Coupon valid through Sunday 5/22! 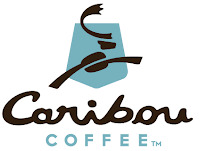 Caribou Coffee: BOGO Coupon this Weekend! 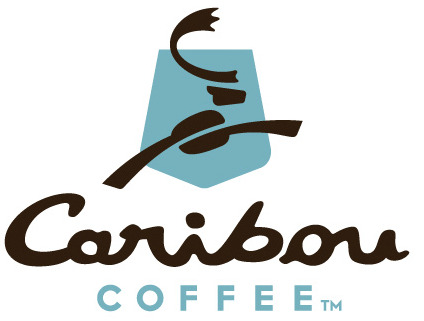 This weekend, use this coupon at any Caribou Coffee to get a drink of your choice FREE when you buy one! Print the coupon or show it on your mobile device. Coupon valid 5/21 and 5/22 only. New Printables: Ball Park, Crystal Light, Lunchables and more! Print these while you can! $1 off Lunchables with Fruit, $1 off Sandwich Combos, $1/2 Oscar Mayer Hot Dogs and more! 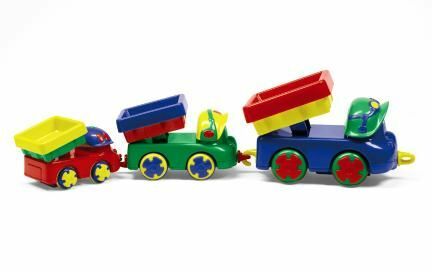 Plum District: $40 to Spend at Discovery Toys for $20! Today's Plum District deal is an exciting one! Through 5/20 or while supplies last, get $40 to spend at Discovery Toys for $20! I love this deal because even though I've never purchased anything new from Discovery Toys, I've purchased many used Discovery Toys at garage sales and my daughter now plays with the Discovery Toys I had a a child. These toys not only have learning value, but they definitely hold up well! As I browsed through the catalog, $40 will cover the cost of a larger toy or set, or will buy you 2 or more smaller toys. 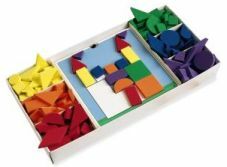 There are also several preschool learning sets that look really useful to me! New to Plum District? Plum District is a daily deal site that offers deep discounts for a short amount of time. 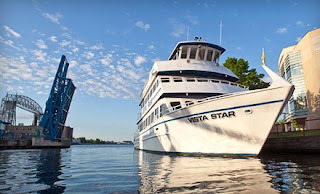 After you purchase the deal, you'll receive a voucher or code by email to use on the featured site. Check out today's Plum District deal to see if it's a great deal for you! 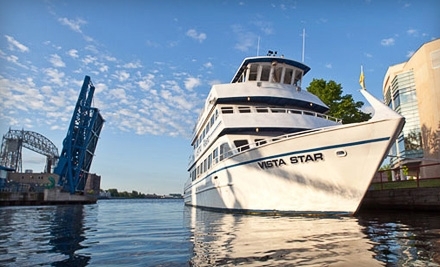 2 Great Daily Deals: Three Birds Bakery in Fargo and Cruises in Duluth! If you're looking to get out and enjoy this amazing weather, head out the the Fargo Community Black parties tonight and all summer on Wednesday nights at parks across Fargo. 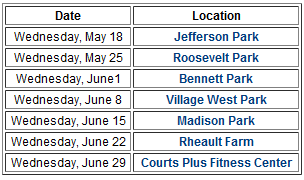 Tonight, May 18th is at Jefferson Park. There will be free food (hot dogs and pop), inflatable games for the kids, karaoke, face painting and more. Fun for the whole family and everyone is welcome! All Community Block Parties are held from 5:30-8:00 PM. For more info or maps to the parks, head to the Fargo Parks website. Below is the schedule for the full summer! Enjoy! Get Together + Coupon Swap Saturday 5/21! Join me and other couponers this Saturday for a Get Together + Coupon Swap! Our Family Ketchup, 40 oz $0.99! Final price: $2 off the price of 1 will be your total price for 2! Final price: as low as $5.49!